Thank you Colin and your team at For Sale by Owner for providing this excellent service. Not only did I find the FSBO system far less stressful than using an agent throughout the whole marketing process, but I also sold the property for a lot more than the sale price quoted by various agents. The excellent sale price was also influenced by using an excellent auctioneer, Charlie Powell from Under the Hammer. I sold my house recently through For Sale By Owner. I am a very straight and honest person and thought that there must be a better way than going through real estate agents. I received two offers within 4 weeks and found the process quite easy and empowering. I saved $20,000 in commission and was in control of the process. Tell all my friends to do the same! 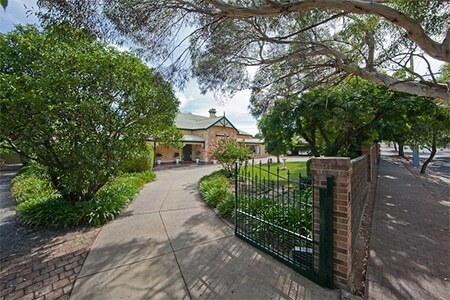 We are thrilled to say that we have sold our investment house. Within three days we had an offer and one week later finance was approved; so today we put the SOLD sticker on the board. 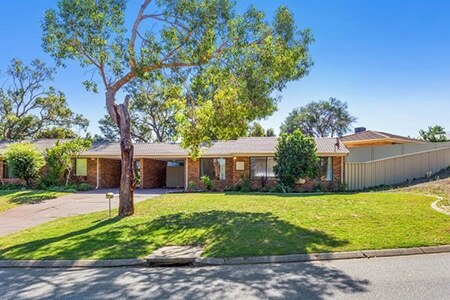 This is our second property we have sold privately; the one previously was 9 years ago in the height of the market in WA, so we simply advertised a Home Open and had an offer that afternoon. 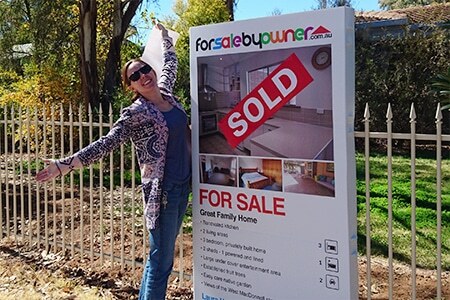 With the expansion of the internet and the decline in the market, we decided this time to list with For Sale By Owner and it has proven to be a winner! We gave the house a mini makeover; painted throughout, new carpets and some window treatments; this, plus making sure the lawns and gardens were in good condition; made the house very attractive to prospective buyers. In fact, once the offer was accepted, we notified the other people who had booked viewing appointments and they said if for some reason the sale did not go ahead, would we please let them know as they were still very interested in the house. Without fail, they all said how they preferred to communicate with the owner, rather than an agent. We are thrilled for the young person who bought our house and the rapport we have with him, would not have happened if a third party had been involved. If anyone is considering selling privately, please do so, there is nothing to be feared. We have a great Settlement Agent who we have dealt with on several occasions, so it is very important to enlist their services. Also, PRESENTATION AND PRICE; do some work so your property is presented very well; do your homework so it is priced correctly; and before you know it, you too will have your house SOLD. The FSBO team have been very efficient and most helpful, with all our queries answered quickly and professionally. The bottom line is JUST DO IT, list with FSBO and enjoy the experience and the benefit of not having to pay an Estate Agent fee; more dollars in your pocket is always a bonus. Thanks For Sale By Owner, You provided us with all the tools we needed to get our home sold! Communicating with you was great and such an easy task to update our advert. Once again we have sold our house quickly using your brand and assistance. Thank you. You are true to what you promote, do and sell. 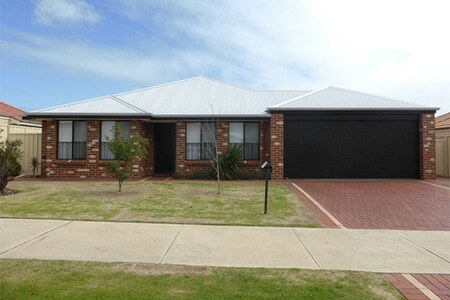 Our second house sold within 2 days after the first open home. Even better than our first home which sold in a week. We highly recommend FSBO. There is no other alternative. I originally had my property for sale with an agent but found that I wasn’t being told the true story and that they look at a 3 month quick turnaround. My property was one of the biggest in the area and I needed to wait for the right buyer who was prepared to see its value. I didn’t use a For Sale sign on the property, so no nosy neighbours and no one to know when I had sold. The 2 other main areas that FSBO helped with was to keep content small and by setting the price on their site on the between figure of searching prices, I was appealing to 2 groups of buyers even though showing a higher asking price. 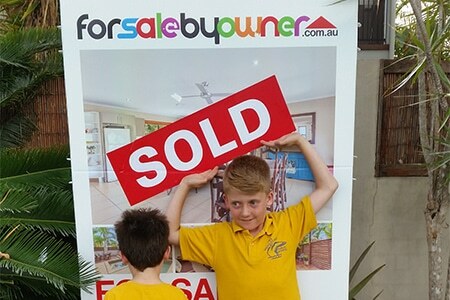 Our sincere thanks go to the team at ‘For sale By Owner’. 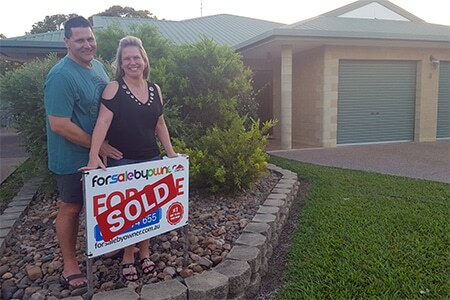 We have had the best experience with selling property for the first time with the help from the team at “For sale by owner”. They have made the initial advertising and set up such an easy process. 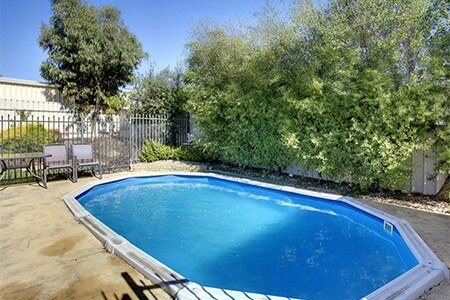 And to our surprise, Our property received hits of interest within hours of going live on the websites. From one of these, we have secured a sale for our property. And the best of all… ‘No Real Estate commissions’!! Just 1 initial reasonable setup fee. Thank you team! We will definitely be using your services again!! 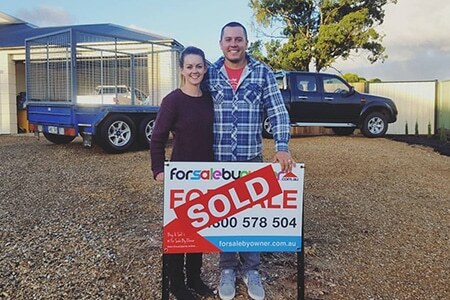 After 7 months of being listed with a Real Estate company and not selling our home, we decided to list with forsalebyowner and sold our house within 2 weeks. I would highly recommend forsalebyowner for their great customer service and professionalism. We saved loads of money by selling our home by ourselves the people that know the house the most. After trying to sell our property over a period of time using two different reputable agents we found the process to be very frustrating due to their lack of commitment and poor service. 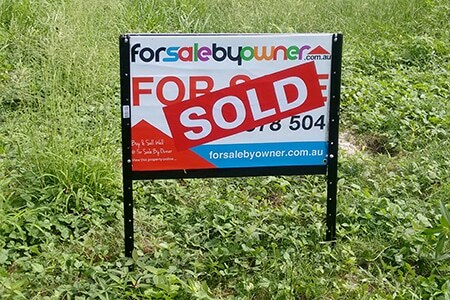 We then decided to list with forsalebyowner because this not only gave use a listing on relevant websites but saved us thousands of dollars in commission allowing us to sell at a slightly lower price to secure a buyer. We found the welcome pack and signage excellent and would use the service again when selling our next property. 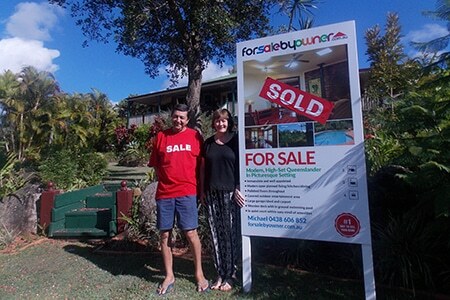 Selling the house through forsalebyowner was a great experience. The website is very user-friendly, setting up the ad and making up the brochures was a walk in the park and with it being linked to Real estate .com and Domain gives you a wide exposure in the market. The app from this site is a handy bit of kit as you get any enquiries sent to your phone instantly. The service provided by the staff was also very good with all enquiries being answered promptly. All in all a very easy experience selling our home. We had a very positive experience selling our home through For Sale By Owner. The package was very easy to use and the signs arrived quickly despite our remote location. 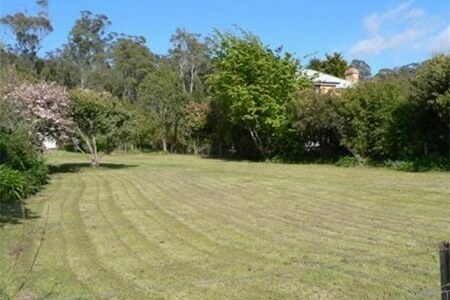 It felt excellent to sell the property ourselves and not involve an agent. Why not, since we were the ones who knew the house best and had to do all the work to get it ready to sell? We were lucky to accept an offer after only the second open. I would highly recommend trying For Sale By Owner. We would like to say a great BIG Thank you to the FSBO team and Collin for his support throughout our experience. We were lucky enough to sell our home within the first 2 weeks of hitting the market. 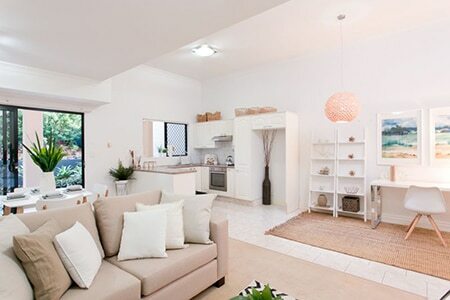 At the end of the day its not a real estate agent that sells a home, the home sells itself. You may save yourself thousands so give it a go! I am happy to share that we have sold our property! We definitely believe that selling our own property was very worthwhile. Not only for the massive savings on commission but also being able to control the whole process ourselves and have direct contact with potential buyers. We felt this took a lot of the stress out of the selling experience that comes along with using a ‘middle man’ real estate agent. We also used the money we saved on commission to arrange professional staging and photography in our property, which helped us achieve a much better price. We thought For Sale By Owner was excellent value for money, and the text alerts and your own log-in and ‘dashboard’ to change details at any time was fantastic. I am definitely recommending you and ‘private selling’ to everyone I know! Firstly, I would like to thank you for all your expert advice and guidance. I could not have sold the land by myself without your help so for this alone, I am extremely grateful. 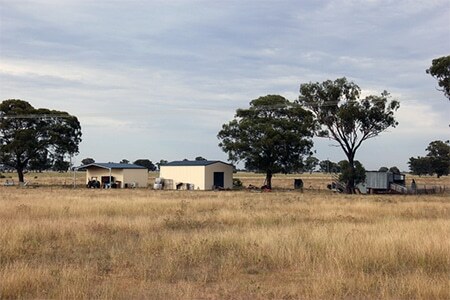 I am so happy to have used your services, as it has helped me sell my land, without having to deal with agents and their fees. Your system works to perfection. The exposure on Realestate.com.au and Domain.com has a fantastic response. 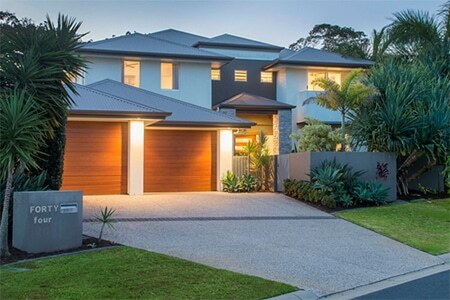 The system used for forwarding inquiries, (contacted firstly by a text message from FSBO as well as an email with a phone number and email address of the prospective buyer), has been excellent. I was often contacted by phone minutes after your text message. This enabled me to be in contact with the buyer and answer any questions, as well as emails with specific information. I was amazed to see how much interest there was in my land. I had two other serious buyers contacting me until the contract went unconditional, hoping the contract didn’t go through. Thank you for your invaluable help and advice in all aspects of my campaign. I would highly recommend using For Sale By Owner and would not hesitate to use your services again. I would like to take this opportunity to thank you for you very professional assistance during the selling of our house. It took three weeks with a little bidding war towards the end. We saved a large amount of money by not paying commission to an agent and the selling part was a pleasure and on our own terms. Being able to dictate the opening times was really great. I would also like to thank your office staff who helped in setting up the posts on various sites. As I am older I wasn’t confident and the lady was so helpful. I have recommended your services to many people …particularly some who have good properties but unmotivated agents…They will be contacting you. Thank you once again it was a great result and i would be very happy for you to use my thank you email as you see fit. 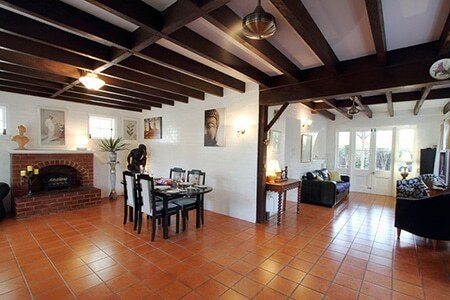 I am just confirming that the property above is Sold and will be settled on the 17th of this month. We have been very happy with how this has gone, although of course you always want to sell your property for more money,however in this market we are grateful of a sale and so quickly. Thank you in providing this terrific service for Owner sellers. WE DID IT……. 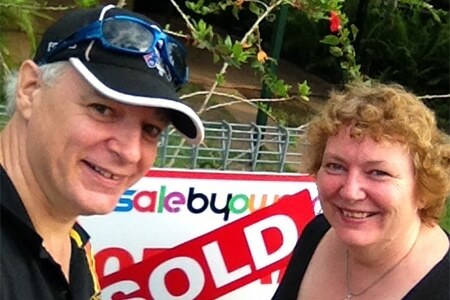 we sold our own house with the great help of “For Sale By Owner”. This is not a common practise in North Queensland but that didn’t stop us. As I enjoy the challenge of selling I decided to give it a go. The website was so easy to use and navigate around and as soon as you change something within minutes it is changed on all sites. The sign came quickly and up it went. I decided to put it on local Facebook buy swap and sell site. 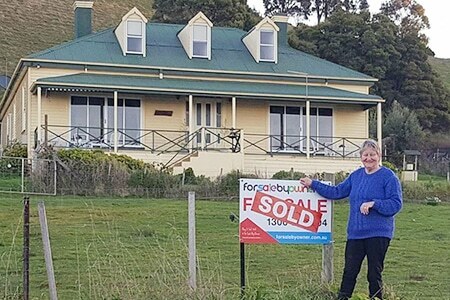 My fiance laughed at me and he said if I sold it from sharing the link from “For Sale By Owner” to Facebook he would take me away for the weekend somewhere special….. so what happened the people who bought the house saw it on FB… woo hoo… weekend away for me. The best part was that we saved so much money and also gained some new friends, we really enjoyed the experience. Give it a go, you may just surprise yourself. Now onto selling my unit. This was an amazing and enjoyable experience. We feel proud of ourselves for having achieved what we set out to do, so easily. The house was sold to the first couple that viewed. Thank you to all at Forsalebyowner for your help an assistance throughout. Thank you FSBO for listing our apartment. Just one hour after going “live” we received an inquiry, from Vietnam, from the eventual purchaser! 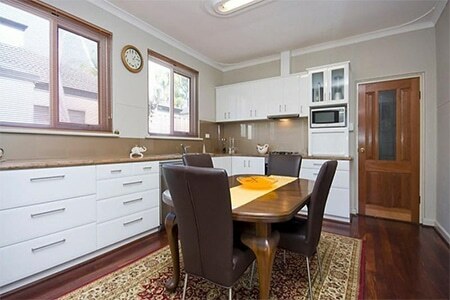 We had 3 parties through the very next day, and a firm offer from the purchaser. 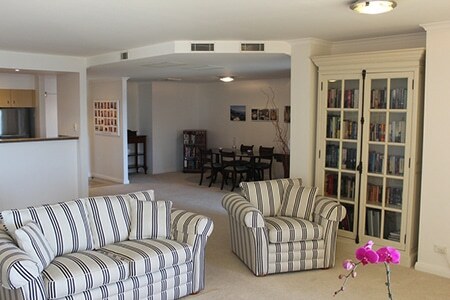 We had several parties through on the only open day and received a higher offer from the original and agreed to a sale. We came close to our listed price and the agreed price was well in keeping, if not above, what most apartments in the complex have recently sold for. We did not get to use our signs all that much because of the quick sale. The setting up of the website, photos, flyers etc., was all handled very well by FSBO personnel who answered all our queries – only a few – promptly. It was quite interesting to deal directly with people viewing the property and answer all their questions. There were several other inquiries via the website(s) which had hundreds of hits. I had some reservations about the success of using FSBO but cannot recommend them highly enough. I cannot recommend using “For Sale By Owner” more highly. From the moment of registration the whole process is very easy and if you need assistance the team are so professional and they are there to help immediately. 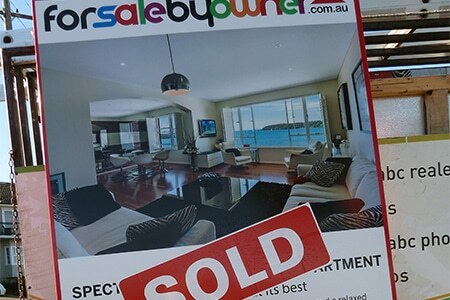 I withdrew my add prior to the first home open, due to the success of the campaign in only 10 days, on realestate.com.au and thanks only to “For Sale By Owner”. I will not hesitate to use “For Sale by Owner” for my next property either for sale or lease. Thanks for saving us money.